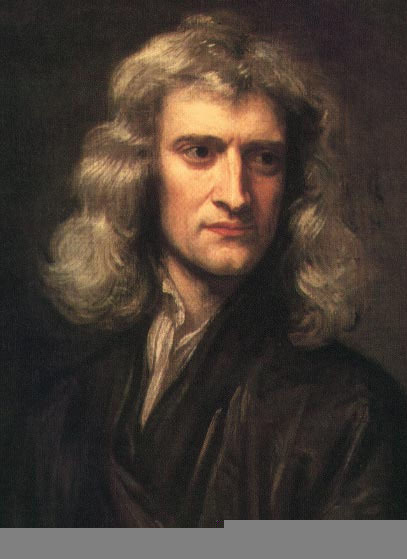 Considered by many to be the greatest scientist who ever lived, Isaac Newton (1642-1727) discovered the law of gravity, formulated the three laws of motion, developed calculus, and constructed the first reflecting telescope. "I have a fundamental belief in the Bible as the Word of God, written by men who were inspired. I study the Bible daily. All my discoveries have been made in answer to prayer." As a mathematician, he invented integral and differential calculus. He defined the nature of light, the movement of the stars and planets, the tides at the shore. He analyzed the physiology of all the animals. He chronicled everything in the observable universe, living and inert, as a coherent machine, a great clockworks with an elegant complexity yet possessed of surprising simplicity, and of such an enormity that his conception could embrace, with unimportant contradictions, all the later contributions of Einstein. No one before him had come anywhere close to his concepts. To the present day with our Hubble telescope, sheep cloning and nano-particles, no thinker has been able to add more than peripheral wheels and adjunct cogs to his grand clockworks. "Opposition to godliness is atheism in profession and idolatry in practice. Atheism is so senseless and odious to mankind that it never had many professors." "I have a fundamental belief in the Bible as the Word of God, written by those who were inspired. I study the Bible daily." His theory of the universe --so he thought--was intended as a powerful tribute to the Grand Architect who designed such a wonderfully complex yet beautiful creation.